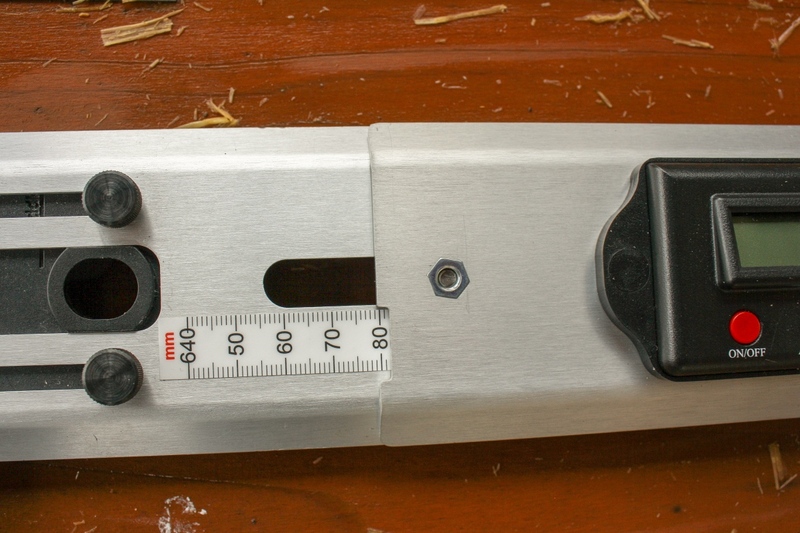 Side view of the inclinometer and saddle tool. Are you having trouble swapping your fit from bike to bike? Or do you like to tweak your fit in the middle of the season? Well, the VeloAngle Pro has you covered with a smooth, precise tool that will get your bike dialed and give you the freedom to tweak, digitize, and perfect your bike fit to the millimeter. Dave Archer creator of the VeloAngle Pro was bitten by the cycling bug relatively late in life, drawn by the contrasting pleasures of suffering and relaxing. An engineering consultant by trade, Archer enjoys the precise and mechanical nature of riding a bike. Like most of us, Archer found the joy of getting new gear was sometimes sullied by the hassle of replicating his desired fit, or even documenting a bike setup. Archer’s engineering background and obsessive streak for creating tools took this fit problem as a personal itch to scratch and crafted a solution. The readout on the VeloAngle Pro is big enough to see from far away while working on the fit. 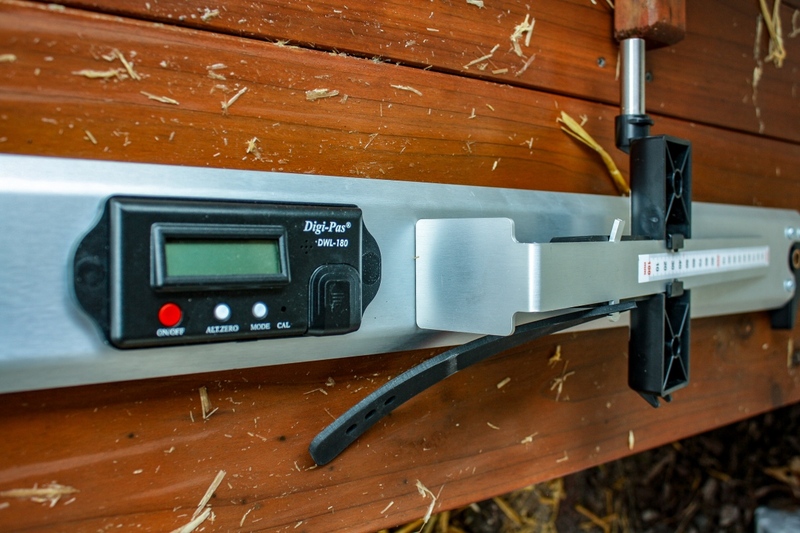 VeloAngle Pro is a fit tool that allows users to apply and obtain measurements from their current bike setup with easy to use tools that will last. Using the VeloAngle Pro tool and App, users can easily document fits, tweak configurations, and see the progression of a fit style over many bikes. Each VeloAngle Pro includes the main tool with inclinometer that is the basis for all fit setups. 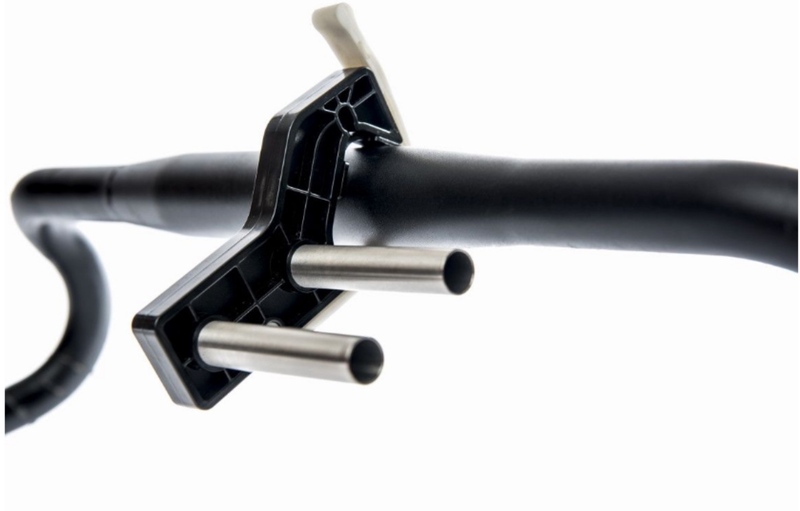 There’s also a saddle adapter assembly that will fit all saddle and rail styles; a handlebar adapter assembly that will attach to both aero and traditional style bars; and a bottom bracket and crank adapter that will fit all styles of crank and bottom bracket. It’s all packaged inside a reusable package with an organizer for easy travel and storage. The stem clamp for the VeloAngle Pro is simple and effective. The VeloAngle Pro has a measurement range of 648-1158mm, allowing it to work across a number of frame sizes. The saddle adapter has a measurement range of 100-300mm and an angle measurement range of +/- 90 degrees. The VeloAngle Pro tool is crafted from aluminum with clear anodization. Molded housings ensure a drop-proof design, and softer bushings give the tool ease of motion while in operation. The guide tubes (where the tool attaches during measurements) are crafted from stainless steel tubing. The long tubes ensure a clean and secure fit when the tool is moving from point to point on the bicycle. Each VeloAngle Pro includes the main tool with inclinometer that is the basis for all fit setups. Using and gathering data from the VeloAngle Pro is easy if you are familiar with any cycling fit tools. The VeloAngle Pro’s primary use is to find the relative position of the bottom bracket, saddle, and handlebars, and give users accurate measurements and readouts. Using these points, the device can gather and repeat measurements with ease. Plug these measurements into the VeloAngle App and you can have access to fits and angle info at the ready for any situation. I first used the VeloAngle Pro on my cyclocross bikes to apply my measurements from the previous season. Much like other riders, when ’cross season is over, I scavenge parts from my bikes and find places for them elsewhere. Usually a winter training bike or something crazy I assemble for no real reason at all. When the #crossiscoming hashtags start rolling out on Twitter, I start converting my bikes for training. This is usually met with a tape measure, an email from my fitter, and lots of swearing. The VeloAngle Pro tool is crafted from aluminum with clear anodization. VeloAngle Pro helped dial in my (re)fitting process. I downloaded the VeloAngle App, watched the how-to video, and within 20 minutes I was on the trainer and rolling smoothly. Now, I’m pretty familiar with bike fitting from many years working in bike shops. But I can’t see any avid racer or rider having issue operating VeloAngle Pro. The tool is straightforward and gracefully moves around the bike with little to no problem, attaching and giving readouts. VeloAngle Pro takes the guesswork out of dialing in a fit. I loathe “dial in rides” where I’m moving pieces around after a tape measure laden, frustrating garage-fit of my own doing. And while I won’t say VeloAngle Pro will solve all your fit woes (that often requires a true fit expert), I will say it can empower you to apply past measurements, move your saddle around, and know that you can get your set-up back to perfect no time. 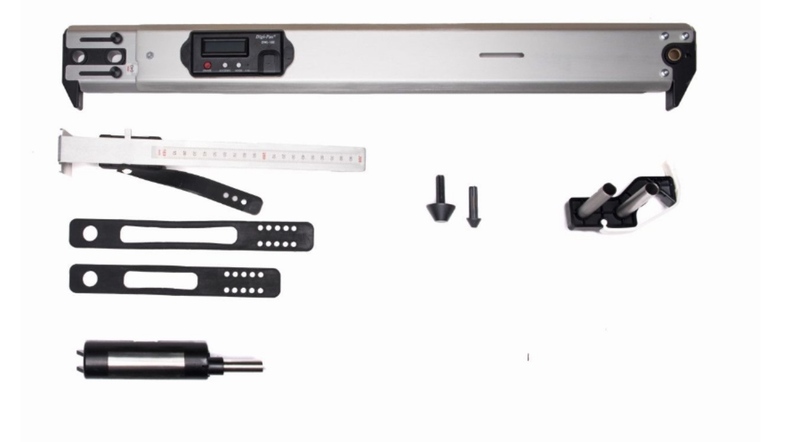 VeloAngle Pro is a quality tool that is available for anyone who aspires to take their bike shop or garage to the next level with fit precision. It’s definitely a must-have for racers that have many bikes and like to play with subtle changes in fit throughout the season. I also deem this a necessity for cyclocross racers who frequently ship their bikes for travel and find themselves battling micro adjustments the night before a race.